It’s back to books next Saturday, when the Girls Around Town meet local author Jade Glithero. 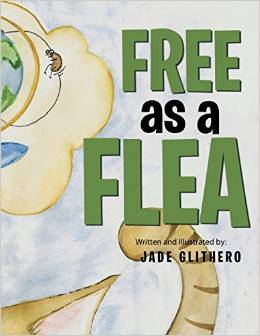 She’ll be talking about her children’s book Free As A Flea, which was written for her own son Noah and tells the tale of Flea’s adventures as he hops and jumps his way around the world. Tune in from 10am to 1pm or listen online to find out more about Flea, Jade and some of the children’s activities taking place in the Castle grounds on Saturday 8 and Sunday 9 August.